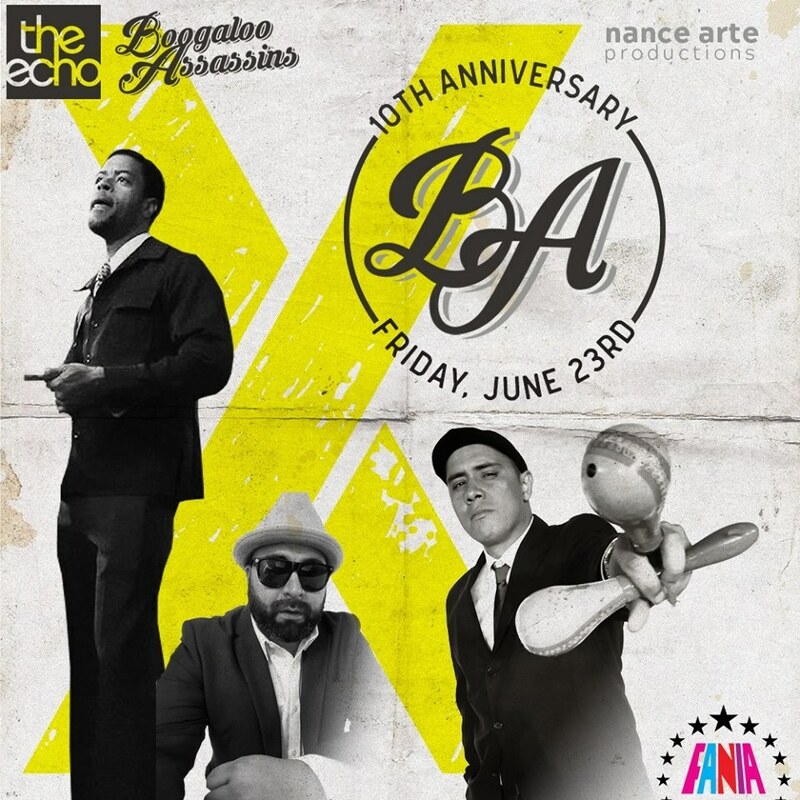 The BOOGALOO ASSASSINS celebrate their 10 years of making the real-deal-holyfield classic Latin Boogaloo, Latin Soul, Salsa and Latin funk style of the 1960’s and 1970’s – Friday at the Echo June 23. You might have heard their Mambo version of the Dawn Penn classic “No No No” that’s become as Ubiquitous in certain circles as the original itself. This 12 piece will bring the non-stop energy and not let up. We won’t be surprised if a proper stage dive find it’s way onto the nights agenda.